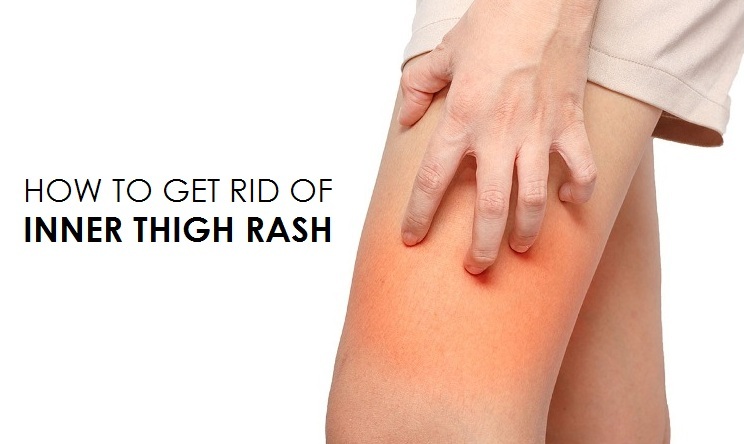 Inner thigh rash is a common problem especially with those people who are on their obesity. This is not actually any health concerned issue but it can be appear due to the constant skin chaffing, allergies and skin irritations due to the running and walking for a long period of time. Also it can be triggered by the improper hygienic condition. It can be annoying and irritating part of your life that you always feel uncomfortable with the inner thigh rash. But you do not have to worry as we are going to give you amazing ideas made with the natural home remedies due to which you can settle down this problem as soon as you want. These remedies are safe and cannot produce any side effects to your health and of course, better than those commercial antibiotic creams and lotions. You just need to take simple ingredients usually present at your home such as baking soda, ice cubes, oatmeal etc. So, here are some natural treatments suggested for you to take a good care of your inner thigh rash. Ice obviously gives a cooling and soothing effect so it is readily a good remedy for reducing the inflammation. The coolness of ice provides numbness to the nerves that are the cause of the itching sensation. Take ice compress or ice cubes in a clean cloth. Place these cubes to the inflamed area. Repeat the procedure few times in a day until you notice the complete relief. Aloe vera is the best ingredient for all the skin related problems so as to treat the thigh rash as well. You just need to extract the fresh gel from an aloe leaf and apply on to the inflamed area. Mix 1/4 cup of aloe vera juice, 1 cup of freshly brewed green tea and 4 tbsp of lavender water. Now apply this blended mixture to your effected part. Leave it for some time until it gets dry completely. It sounds something strange but baking soda has lots of benefits regarding inner thigh rash problem. It also helps in reducing the burning and itching sensations caused by the inner thigh rash as well. Mix enough amount of baking soda and water as to make a paste. Apply this baking soda on the inflamed areas. After few minutes, rinse off with water and pat dry. Repeat the process daily until you notice the good results. The soothing and moisturizing properties of oatmeal help in the proper treatment of inner thigh rashes. This process is good for children and babies who probably go through the rashes problem. Add 1 cup of oatmeal to the bath water. Soak your body in it for 15 minutes. Wash normally and pat dry with a soft towel. Neem is used to treat so many skin infections as per Ayurveda like eczema, inner thigh rash, dry skin and irritation. Take a handful of neem leaves and blend them, then add enough amount of rose water. Leave it to dry and rinse off with cold water. Turmeric contains beneficial healing properties. We recommend using only the organic turmeric for this purpose. Combine 3 tbsp of turmeric powder and 1 tbsp of water. Leave it to dry and rinse off with water. Apple cider vinegar is good to reduce the inflammation, itching and pain caused due to the inner thigh rash. Take a cotton ball and dip into the apple cider vinegar. Wipe out the affected areas with this vinegar. Leave it for some time to dry completely. Repeat the process 4 times a day. Optionally, you can use white vinegar instead of apple cider vinegar. Chamomile contains soothing properties which is good to give relief from the inflammation and irritation caused by the inner thigh rash. Rinse the affected area with the tea and pat dry. Honey contains natural properties to reduce the inflammation, redness and itching. It claims that after using honey, the rashes will never come back. Combine equal amounts of honey and lukewarm water. Stir well and apply this solution on the affected area. Clay is thought to be an amazing ingredient to reduce the inner thigh rashes. Clay dries out the rashes and reduces the inflammation. You can use bentonite clay or montmorillonite clay for this process. Combine enough amounts of clay and filtered water to make a paste. Spread this paste on the affected areas. Leave it for dry completely. Rinse it off with water then pat dry. Mint, as we all know contains cooling effect so it is used to treat the itching and pain caused by the inner thigh rash instantly. Take handful of peppermint leaves and crush them thoroughly. Now take a piece of clean cloth and soak in cold water. Wring out the excess and spread the crushed mint leave on it. Place this cloth on the inflamed areas and remove after few minutes. Basil leaves contains thymol which is an effective compound to reduce the inflammation, redness, itching and pain caused by the inner thigh rash. Blend few basil leaves adding rose water or glycerin in a juicer/mixer. Apply this paste directly on the rashes. Rinse it off with water and pat dry. Olive oil contains antioxidants which help in healing the skin quickly. It also reduces the inflammation and irritations caused by the inner thigh rashes. Spread some olive oil directly on the affected parts. Leave it for few minutes until it becomes dry completely. Repeat the process 3 times a day. Bleach contains anti-bacterial properties which are used to treat the inner thigh rash. It also reduces inflammation and itching. Add 1/4 cup of bleach to a bucket of bathwater. Soak your body in this solution for 15 minutes. Bathe normally as you always do and pat dry. Onion contains antiseptic and antibiotic properties that are supposed to heal the rashes quickly. Blend 1 onion and extract the juice from it. Apply this juice on the affected areas. Rinse off the areas with slightly warm water. It contains antifungal and antibacterial properties which are used to treat the inner thigh rashes and reduce inflammation. Take 5 drops of tea tree oil and add 1 tbsp of coconut oil into your bathwater. Bath normally then pat dry. Increase vitamin C content in your daily food as it deals with the bacteria and other skin problems lead to the skin rash. So maintain the healthy and proper diet. Do not use soap that contain harsh chemicals as it will worsen the rashes. Use herbal soap containing chamomile, tea tree oil, calendula flowers, lavender etc. Wear biker shorts, bandelettes and anti-chaffing shorts to avoid chaffing. Keep your inner thighs dry as warm environment can lead to rashes.